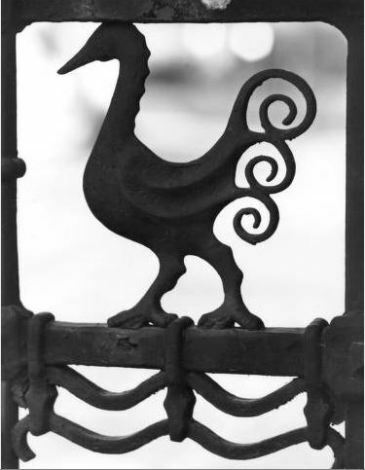 Cranbrook has a rich history of gate design and fabrication, beginning with George Booth’s 19th-century work as a designer for Barnum Wire & Iron Works in Windsor, Ontario. From peripheral entrance gates to interior ornamental gates executed in wood, wrought iron, cast iron and steel, over 80 gates have been installed on the campus. These gates—Cranbrook’s “gatescape”—are the focus of the second exhibition in the From the Archives series. Forging Cranbrook’s Gatescape presents the historical and contemporary uses of gates, and explores the relationship between designer and fabricator, and how the gates of Cranbrook define space and create a visual bridge between the visitor and the architecture.